TRILOGY AFTERMATH: WILL PACQUIAO MAN UP AND FIGHT MAYWEATHER INSTEAD OF MARQUEZ AGAIN? 36 rounds, 3 close fights, and still no answer as to who is the better fighter between Manny Pacquaio and Juan Manuel Marquez. Their first fight, which took place at 126 pounds in 2004, was an instant classic and contained drastic differences, not only in style, but also in the judgment of that style. Pacquiao knocked Marquez down three times in the first round, yet Marquez used superior counter-punching, ring savvy and overall skill to force the bout to a draw. Most thought Marquez had done enough to get by the one-sided first round to earn the victory, but the judges saw otherwise. Fast forward five years and numerous fights later to March 15th, 2008 for Pacquaio-Marquez II, one of the most anticipated rematches in recent history. This 12-round battle, much like the first, included Pacquaio knocking Marquez down with a lightning quick left hand in the third round, which, at least to two of the judges, again seemed to be the difference in Marquez losing in a close and controversial split decision. After their second war, Pacquaio and his camp made it clear that they would fight anyone in the surrounding weight classes except Marquez, as they went on to beat over-matched fighters such as David Diaz, Erik Morales, Antonio Margarito and Joshua Clottey, as well as fights with washed up or mentally and physically ruined fighters, such as Oscar De La Hoya, Miguel Cotto and Shane Mosley. Marquez had gone on to face his share of over-matched opponents, such as Juan Diaz, Michael Katsidis and Likar Ramos, but still managed to do something Pacquaio has been cautious to do...fight Floyd Mayweather. Leading up to this third, and presumably last, fight between these two great warriors, much had been made about the weight gain of both fighters and what PEDs could possibly have to do with that. Pacquaio had previously been accused by some of using PEDs while Marquez hired actually hired a former PED dealer in Angel Heredia to be his strength and conditioning coach for this fight. Most who saw Saturday night's fight (with an unbiased eye) have once again been left scratching their heads at the outcome. Manny went round by round throwing more punches, while Marquez sat back and waited for him to make mistakes (which he did in abundance) to counter him. One thing that really shocked me personally was the manner in which Marquez, at the age of 38, was able to avoid a bunch of Manny's punches, and he was also able to make Manny lunge in off balance at times and miss wildly. Let's remember now, 70-80% of people who were polled or who voiced their opinion before this fight had Manny blowing Marquez out and stopping him for the first time in his career  a statement I find absolutely absurd, and after what we all saw on Saturday night, I hope it feels that way. Marquez is one of the greatest fighters of this era, and one of the best in the history of Mexico. To cut him that short is comical to say the least. It was apparent from the start that this was not going to be an easy night for Pacquaio as Marquez once again proved to be his equal, if not his superior, in the art of pugilism. Marquez controlled the pace of the fight and made the fast-paced, in-your-face Pacquaio fight a thinking man's fight at a slower pace. Pacquaio was at times able to hit Marquez clean or catch him with shots from sneaky angles, but that had more to do with Manny's speed rather than his overall skill. Marquez used his superior boxing IQ and boxing ability to get inside and hit Pacquaio with hooks to the body, and right hand leads and jabs on a more consistent basis than he was given credit for. Watching Pacquaio move in and just throw punches and win rounds, whether he was landing or not, is enough to befuddle the most intelligent of boxing scribes. While I do agree that you can win a fight on activity, as Pacquaio did in his fight against Clottey, I do not agree that one can win a fight with activity when the other guy is out-fighting him and landing cleaner punches. We cannot disagree that the harder punches were landed by Marquez  you could not only see them, but hear them as well. Pacquaio may have out-landed Marquez overall, but that is because he let his hands go, not because he was landing the better, more accurate shots, as evidenced by the overall land percentage. This fight was not a blowout by any means. It is hard to watch a guy fight the perfect fight, do to a guy what no one has been able to do in about 10 years, and still lose. Many Spanish stations have pointed to rounds 7-9 as rounds Pacquaio literally did nothing, but he still won 2 of the 3 rounds on 2 of the 3 judge's scorecards. We can all draw our own conclusions as to what we saw or who we felt won, it is open to perception, but for some reason, it just didn't feel like the right man won Saturday. I have, over the past 48 hours or so, tried to explain to some the politics of this sport and that a big-named fighter on the cusp of the biggest fight that can be made sometimes gets a nod in a close fight or sometimes can get the nod in a not-so-close fight, as was the case in 2004 when Oscar De La Hoya moved up to middleweight to fight Felix Sturm in hopes of securing a superfight with then Middleweight kingpin Bernard Hopkins. Any of you that saw the same De La Hoya-Sturm fight I did saw a somewhat chubby, out of shape De La Hoya take a beating at the hands of the pretty good Sturm only to receive a majority decision, much to the dismay of the attending crowd, who made clear their displeasure by the rants of boos heard throughout the arena. Sound familiar? This brings us to the present, a mere 5 days after the fight, and we have one of the greatest Mexican fighters of all time, and arguably the best in the past 15 years or so, saying he is contemplating retirement because if he cant fight Manny and beat him like he should, then there is no point in continuing. Think about that for a minute! At 38, he goes out there and puts on a great show, exposing Manny's many flaws, and still he is thinking about giving it up with the "what's the point" attitude. It's a travesty. We all know how politics work, and Marquez has seemed to get the worst of it, especially after this last fight. 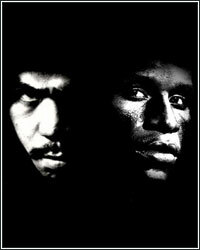 The list of names of current or retired fighters who had come out in mere minutes to express their opinion of the decision reads like a book of boxing royalty: Mike Tyson, Oscar De La Hoya, Lennox Lewis, George Foreman, Bernard Hopkins, Fernando Vargas, Kendall Holt and Andre Ward, as well as Actors Omar Epps and Danny Masterson, and NBA players Quinton Richardson and Kevin Durant. They all let their opinion be known that Marquez had beaten Pacquaio in the fight they had just seen, and yet, here we sit again confused and dumbfounded. But the most telling opinion might be that of Amir Khan, who trains with Pacquaio and is trained by Freddie Roach. A big fan of Manny's, even he said Marquez won the fight. What does that tell you? The one fight everyone wants to see now is obviously the one we have all been wanting to see over the past 3 years...Mayweather vs. Pacquaio. Yet, not an hour after another close fight with Marquez, Pacquaio, his trainer Freddie Roach, and his boss Bob Arum all made comments to the effect of Marquez deserving a rematch and that they needed to do this a fourth time. Now, correct me if I am wrong here, but does anyone really want to see a replay of the first three fights? Marquez boxing, thinking and counter-punching Manny into looking like a pedestrian, and Pacquaio stealing the fight on sloppy activity and politics? No, thank you. Really, and I think I speak for the entire boxing universe, no, thank you. We all want Manny to fight Mayweather. Despite all the junk and smack talk being thrown out there that Floyd is the scared one, he's a chicken, he is running, etc....I think we all saw Mayweather smoke Marquez with ease after a lengthy layoff; the same Marquez that Pacquaio feels the need to fight a fourth time in order to prove that he is the better fighter. Comical. As can be seen in any of the three Marquez fights, Manny has a terrible time dealing with guys who possess good boxing skill, decent defense, a high boxing IQ and superior counter-punching ability. Can you think of anyone who is better at those things than Mayweather himself? Pacquaio is good for boxing; I'm not in any way saying he's not and the world needs to see him and Mayweather get it on, so we can finally put to rest the speculation of who the best fighter in the world is. Look, personally, I'm cool with Manny fighting Marquez again. The problem is, with the mega-fight with Mayweather looming, a fourth fight looks like anything but a coincidence. I don't understand how you can talk trash, put countdown timers on your website, and tell anyone who would listen that your new guy is better than the guy who left you, and then turn around when the anticipation of this matchup is at its peak and say you need to fight this other guy a fourth time because he deserves it. It's phony bologna, and we all see it. I have a feeling by seeing it with my own eyes on Twitter, blogs, and other social media networks, that for the first time in a long time, people are starting to see through what I like to call, "the smoke and mirrors" that is Manny Pacquaio. The tide has finally turned. The only question now is, will Pacquaio be his own man for once and quit letting others dictate what his legacy is going to be, because from what I saw this past Saturday, Pacquaio is far from the best fighter ever and I don't think it has ever been more clear to so many that he isn't currently the best fighter in the world. That title clearly belongs to the man he and his team are so obviously ducking: Floyd Mayweather! The time for playing and name-calling is over. It's time to put up or shut up, and in Pacquaio's case, MANny up. The ball is in your court, let's see if you return serve. I wanted to also take a minute and say goodbye to one of the greatest men to lace them up, Smokin' Joe Frazier. RIP Champ.